Shanghai steel futures hit a one-week high on Monday following a wave of strong profit growth and boosted overall earnings at China's industrial firms. April showed a 22% rise in profits from a year ago to 576 billion yuan ($90 billion USD), further allowing steel futures to hit their best pace in 6 months. The high demand for steel, along with other construction materials such as iron, has been largely fueled by the massive construction boom in China. This high in prices has also lifted the attitudes of those caught in the midst of it. The regained momentum in profit growth reflects both the continued expansion and faith instilled within the Chinese economy. As the world's top user and producer of steel, China continues to grow and quickly outpace the rest of the globe. Cities such as Shanghai are experiencing incredible growth, as evidenced by the non-stop shipping traffic along the Huangpu River. A firm steel future also assisted in lifting the prices in steel-making raw materials. Coming off of the session's lows, this rise in production raw materials casts a positive light on the future of Chinese construction. Observing the shipping super-highway of the Huangpu River from the Bund, it doesn't appear that the flow of construction materials will cease any time soon. Evidently, China and its other East Asian neighbors will continue to maintain a high demand for steel and other production materials. 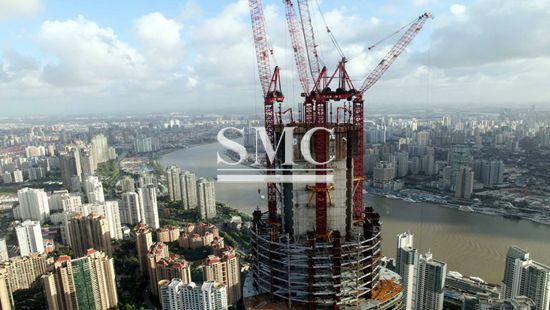 Here at SMC, we strive to be a part of that demand and further assist the construction boom and provide an improved infrastructure for China and the rest of the world. We offer products such as cold rolled steel, high carbon special steel, steel piping, and carbon alloy steel. For specifications and pricing, please click here.